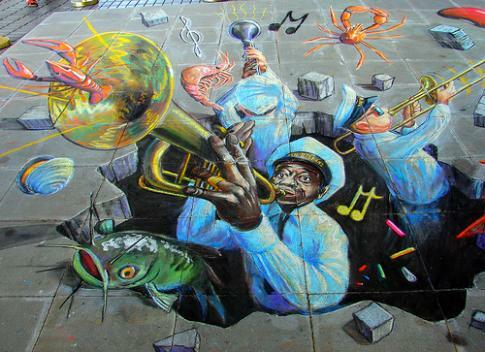 An anamorphic 3d chalk drawing of a band playing with a marine theme, the band appars to be bursting out of the pavement along with a number of lobsters and fish. That is amazing! Congrats to the artist! Wow, very well done, if you look at the grid on the floor that help with how its been done. What up with the fish?